This first-class car manufacturer creates luxury cars that stand out from the crowd. Mercedes-Benz boasts unmatched performance and style that’ll help you own the road. As a reputable seller of upscale and lavish models, Mercedes-Benz can provide you with something out of the ordinary, so why fit in on the roads when you can stand out in such style? At RAC Cars, we offer a vast selection of used Mercedes-Benz. So, if you want to feel like a cut above the rest, without breaking the bank, Mercedes-Benz produce reliable, quality and outstanding vehicles for you to explore, which are featured in our collection of second-hand vehicles. AMG models are improving massively over the years. The pure power and elegance of the estate model is a tempting option for many motor enthusiasts. But, if the 6.2 litre engine isn’t for you, there is plenty for you to feast your eyes on. For a premium supermini style, you might like the A-Class. If you enjoy cruising through the streets in a saloon style car, check out the Mercedes-Benz S-Class. 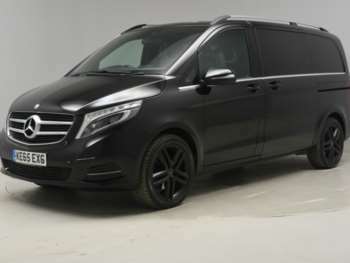 This lavish car manufacturer also features many larger vehicles that don’t compromise on quality such as the Viano and the M-Class. Other popular models include the B-Class, CLC Class, E-Class, SLKSLK, and SLS AMG. With the slogan, “the best or nothing”, Mercedes-Benz have built up a reputation for quality and first-class manufacturing. They are based in Stuttgart, Germany and produce a huge collection of cars that cater to a wide range of tastes. They have been recognised for their luxury cars not only by the general public and car lovers but also by prestigious organisations. Mercedes-Benz scooped up 3 awards at the World Car Awards in 2015. The C-Class won “World Car of the Year” while the AMG GT won “World Performance. Car”. Also, their well-known S-Class Coupe won “World Luxury Car”. If that’s not enough to convince you to buy one of the used Mercedes-Benz for sale from RAC Cars, they have also won “Best Luxury Car" at the 2017 What Car awards. Got a specific Mercedes-Benz model in mind?